Facebook’s eagerly anticipated Oculus Rift just went on sale for $599. As with most new technology, this virtual-reality headgear will mostly appeal to video gamers and other nerdy enthusiasts. Wider appeal will be Tinseltown’s job. Like Google Glass before it, the Rift and other VR headsets will tempt only those willing to sacrifice their appearance for the experience. The bearded fellow featured on the Rift preorder website is a dorky case in point. What’s more, Rift requires other equipment including a PC running on Windows, which pushes the all-in cost closer to $1,500. Even the most hyped hardware usually starts slowly. Apple sold only 600,000 iPods from its initial release in October 2001 until January 2003. Macquarie Capital reckons that Facebook, which bought Oculus for $2 billion in 2014, will sell 1 million Rifts this year. That’s especially respectable considering Alphabet suspended sales of its test version of Google Glass last year. It stands to reason VR sets will improve vastly and quickly. The market for augmented reality, a less immersive experience that does not require users to be tethered to a computer, could reach $120 billion in revenue by 2020, according to Macquarie’s estimates, while VR is expected to rise to $30 billion over the same span. Even so, there will have to be something more to see inside to attract the masses. Among consumers who know about VR, two-thirds of them say they’d most like to see movies and TV on it, research firm Frank N. Magid Associates found. Sports also notched high on the list. Both Fox and Walt Disney’s ESPN are making big investments, suggesting VR could soon bring football fans much closer to the action. Silicon Valley can manufacture the products, but it’s Hollywood that makes the stars. Starbreeze Studios, the maker of the cooperative heist game “Payday 2,” intends to open a virtual reality arcade in Los Angeles later this year, the company announced on Jan. 23. Facebook on Jan. 6 started taking pre-orders for its Oculus Rift. 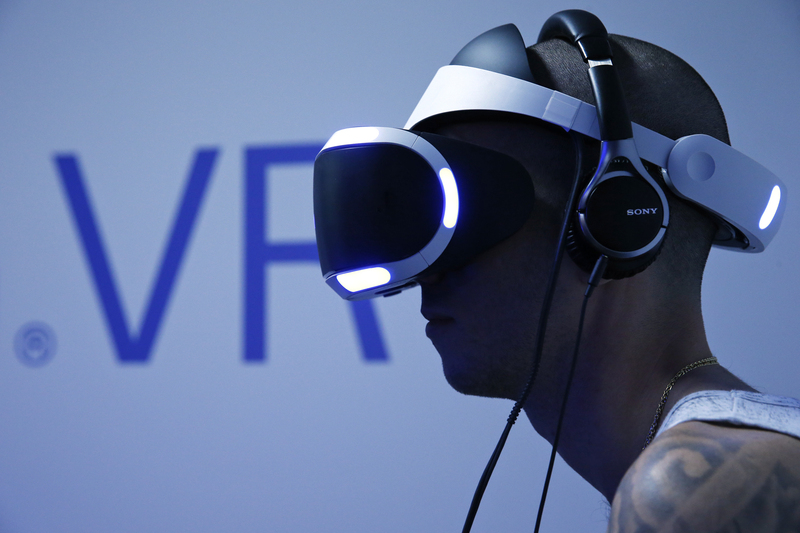 The virtual reality headsets will start at $599. Shipping for the product begins at the end of the first quarter. Twenty-First Century Fox said on Jan. 5 it took a minority stake in the augmented-reality company Osterhout Design Group.